This morning, I finished a call on the computer and I could feel the sun shining on me through the window so I decided to take a nature break and leave my desk for a few minutes. I picked up the compost bucket from the kitchen counter and carried it on my tented fingertips, up by my shoulder like I used to carry trays when I waited tables. I could hear the sloshing and bubbling of the fermenting foodstuffs near my ear. As I walked outside, I was thinking about how gross and awesome rotting food is and then about how many more bluebonnets we have this year compared to last year and about how green things seem after last night’s hailstorm. I reached the compost area, which happens to be right by a purple martin house on a high pole. Every few months, my dad buys a bag of cement, digs a hole, which is no small feat in our rock yard, and then up goes a pole with a house of some-kind: Bat, Purple Martin, Finch, Owl. So far, sparrows have inhabited all of them, but we’ve been hoping to see more exotic avian visitors. I’ve looked at these houses high on poles for months, and no purple martins. Then today, a little movement or sound or a sixth sense pulled my attention upwards and still holding the wet kitchen slop by my ear, there it was: a beautiful, singing purple martin perched on the corner of that little house in the sky. My eyes locked onto it, afraid that if I blinked it would be gone. I was so surprised and touched by this unexpected gift-sighting in the morning, right in the midst of computer time and domestic chores and scattered thoughts that I cried. It was startling, somehow, to have been looking and hoping for something for so long and then to have it appear there in front of me, with no big entrance and no fanfare. It just was. And that experience, which mirrors many experiences in my life (wanting, waiting, letting go, there it is) brought on a full on cry with snot and everything. I was glad to be in the yard without any human witnesses so I could just let it happen. Part of me was a little concerned about this sudden crying jag… am I doing okay? Is something wrong or weird here? Can I really be crying over this bird? And then another part of me, the part that is getting more comfortable with feeling things and feeling them deeply said, this is good. It’s good to be delighted and overcome and to have time and space to realize how connected this bird sighting is to other things in my life. It’s good to let some of this emotion out to mingle with the elements. And I guess it’s good that I’m starting to accept and appreciate these emotional experiences because it’s a thing that keeps happening. This yoga practice has become a practice of listening, and I’m more sensitive to the things I hear. Even through my concern of turning into a teary, cry all the time person, I know that when I’m able to connect to my feelings and really feel them, I’m more connected to myself….and apparently birds. Let’s just call it “nature” or even God. I love these reminders to stay open and to pay attention. To listen not only to bird song and to beauty, but to the feelings these things evoke inside of me. The feelings are such a gift of being alive. 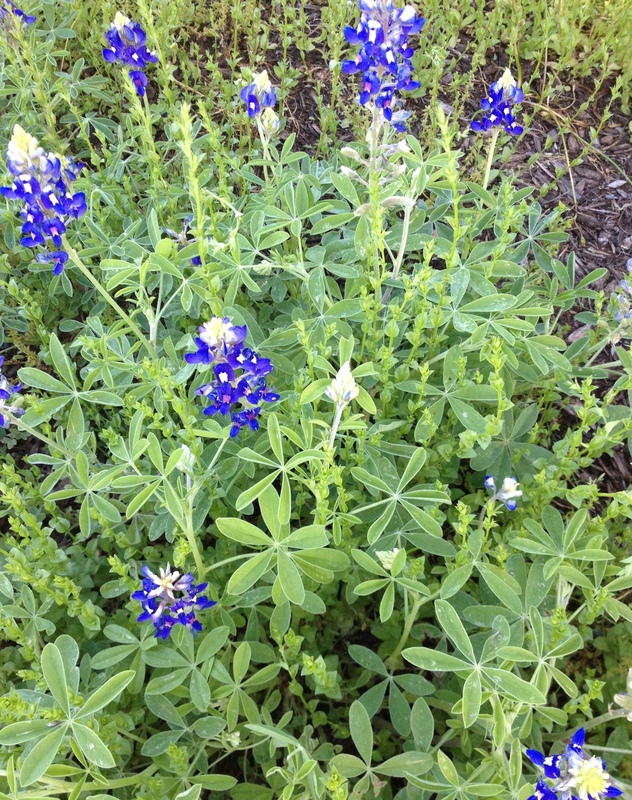 bluebonnets are so pretty this time of year. 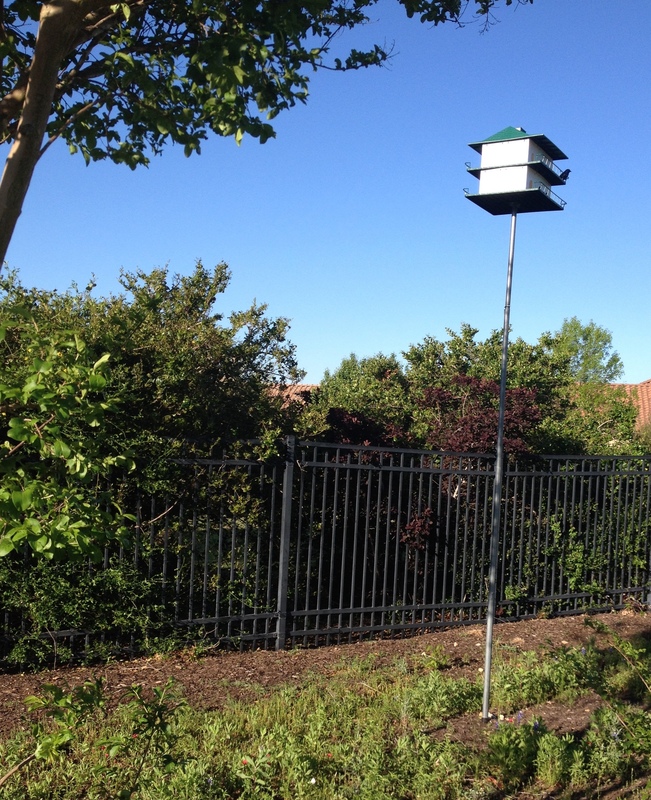 That little bird you see on there is not an actual purple Martin. It is the plastic one my dad bought to communicate which birds were supposed to inhabit the house. The sparrows don’t seem to mind it. Live in Austin, TX? 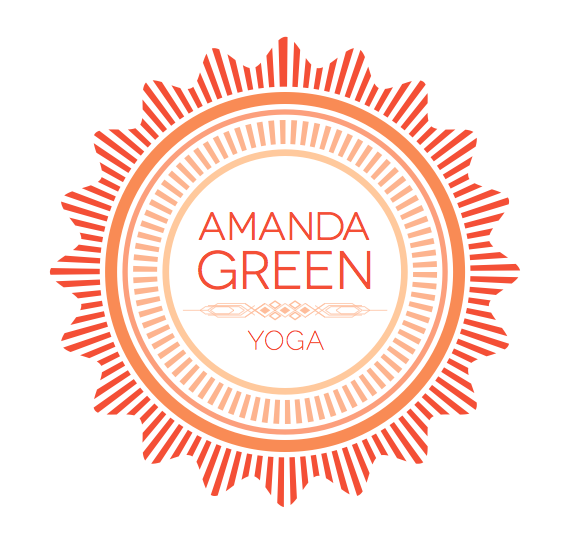 I’m teaching an Intro to Yoga and Ayurveda workshop this Sunday, 4/13 at Barton Creek Country Club. Visit my fb page or message me for details. Are you interested in developing a therapeutic yoga practice that you can do at home? I’d love to help. Find me at “contact” tab! Thank you for this..I seem to be on a similar path in terms of the healthiness of crying. I even find quotes all the time that confirm it is all part of a growing spiritual practice — crying speaks in a way that mere words cannot relay. …A ‘gift’ for sure …A cleansing that just bubbles up is the best and a wonder. Love your story this morning, I understand and am touched my friend. Every year a pair of ducks returns to our small pool of water…and every year I tear up at first sighting…we are so fortunate to be in the world. I can just imagine how good it must be to see those ducks. This world can be so good.